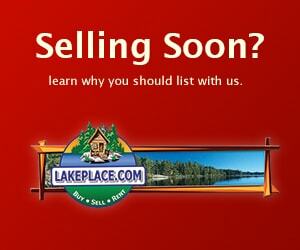 FOREST LAKE HOMES-240' OF WATERFRONT FUN AWAITS YOU ON EXCLUSIVE 468 ACRE FOREST LAKE IN LAND O' LAKES. KNOWN FOR IT'S CRYSTAL CLEAR WATER AND GREAT FISHING, THIS PROPERTY HAS EVERYTHING YOU WANT IN AN UP NORTH GETAWAY! THE FIRST PLACE YOU SEE AS YOU PULL IN THE DRIVEWAY IS A 2017 QUALITY BUILT HOME WITH UPSCALE FINISHES. IT HAS 3 BEDROOMS AND 2 BATHROOMS, INCLUDING AN OPEN CONCEPT GREAT ROOM/KITCHEN AREA AND WOOD BURNING FIREPLACE. THE UNFINISHED BASEMENT OFFERS EVEN MORE OPPORTUNITY FOR LIVING SPACE IF YOU CHOOSE TO FINISH IT. FEELING NOSTALGIC? TAKE A STROLL DOWN TO ADMIRE THE 2 BEDROOM 1 BATH CABIN THAT SITS CLOSER TO THE WATERS EDGE. ENJOY CAMPFIRES BY MOONLIGHT AND TAKE IN ALL THE PEACE AND SERENITY THAT THIS 3.67 ACRE PROPERTY HAS TO OFFER.